Final cost FREE, plus a $1.26 Money Maker! Final cost just $0.49 for the Optic White Toothpaste! Final cost $2.50 a 12-pack! Final cost 3/$2, only $0.66 each! Final cost 2/$3, just $1.50 a 10 pack – that makes each juice only $0.15 each! Final cost just $0.50 total, only $0.25 each! Dentek Floss Picks, Buy 1 at $2.99 get 1 FREE - on sale through 8/30! * Plus earn 100 Bonus Beauty Points (= $0.10 reward) when you scan the in ad coupon. Final cost only $0.68 for two, just $0.34 each! Final cost better than FREE if these are included! Final cost only $0.86 for BOTH if these are included! Ivory Bar Soap 3-pack $1 (Reg. $1.79!) – on sale through 8/30! Final cost $0.75 total, $0.25 per bar! Dove White or Sensitive Skin Soap Single Bars 3.17 oz $1 (Reg. $1.79!) - on sale through 8/30! *Plus, earn 50 beauty points (= $0.05 reward) when you scan the in-ad beauty coupon! Pay only $7.98 total, just $2 per 8 pack – only $0.25 per soap! Final cost only $0.88 total, just $0.44 each – NO coupons needed! Final cost $3.13, just $1.57 each for the BIG bottles! These Accessories start in price at just $4.49, so only $2.25 each after the BOGO sale! *And these will qualify for the bonus beauty points promo when you scan the in-ad coupon! Final cost $2.72 for 3 boxes, just $0.91 each! Final cost as low as $4.99, that makes each BIG roll only $0.31 each! Final cost as low as $4.99, that makes each double roll just $0.41! Final cost as low $3.99, that makes each roll $0.66 each! Final cost $3.99, that makes each paper towel roll $0.49 and each bath tissue roll $0.24! Final cost only $4.88 total, just $1.22 each! Arm & Hammer Laundry Detergent 2x Liquid 25 to 32 loads or Power Paks 22 pack Buy 1 at $6.79,get two FREE!!! Final cost $11.58, only $1.93 each! Final cost just $2.49 each! Final cost as low as FREE, plus a $1 money maker! Final cost ? Should make for some awesome deals after the coupon stack! Final cost only $0.29 each (when you buy two)! Check out this *HOT* offer from Swag Bucks! Sign up now and you will receive a $5 sign up bonus!!! Search the web and earn Swag Bucks to redeem prizes. Get prizes for doing things you already do on the internet. Earn gift cards with just 450 points!! Then use them to buy Christmas presents. Huge savings! I personally use it and totally recommend it!! I have earned SO many gift cards from them in the past! Watch the short video for a quick overview of Swag Bucks! The deals were so good this week that I wanted to go back in for another trip before the sales end. Unfortunately, Nichols was out of a lot of the stuff I had on my list, but I went ahead and got the other stuff they did have. I also went to Walmart to work the cash back rebate apps (ibotta and checkout 51) and then also went to Apple Market for just a couple of things. (1) Glade Scented Oil Plug-in, $1.38--used $1/1 HERE AND $1.00 ibotta rebate = FREE + $.62 Money Maker! I used $3.50 in coupons, $10 in gift cards earned from the Minute Maid Deal and then received $7.25 back in cash back rebates!! 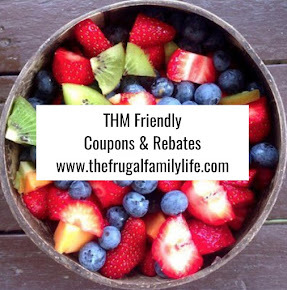 Total amount AFTER coupons/rebates/gift cards :: FREE + $1.92 MONEY MAKER! AFTER coupons/cash back rebates/price matching :: $14.71!! That's a savings of 84%!! There is a new, rare $.55/1 coupon for the 10 pack of Hi-C! Walmart carries these for $1.98 and with the Printable Hi-C Coupons, they will be only $1.43 for the 10 pack-$0.14 per fruit punch box! 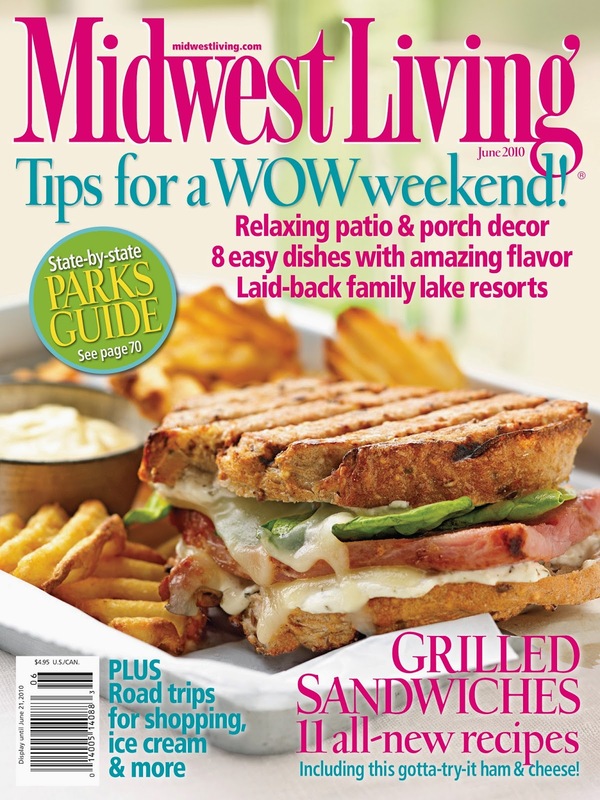 ValueMags.com is offering a free 1-year subscription to Midwest Living Magazine. Just fill out the form to see if you qualify. 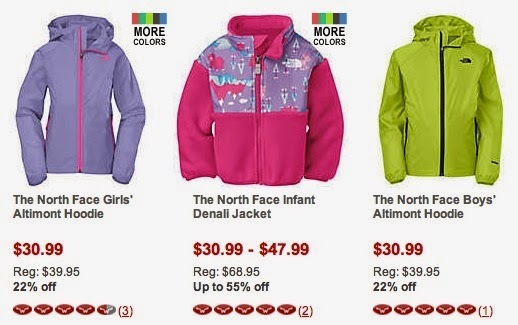 It’s not too early to start thinking about winter jackets, especially at this price! MooseJaw has North Face Jackets on sale for as low as $24.79! Just use the coupon code EXTRA20 at checkout to take an extra 20% off MooseJaw’s current sale prices. It’s Freebie Friday again! Today’s deal over at SavingStar.com is for 100% back when you buy one 3 oz. 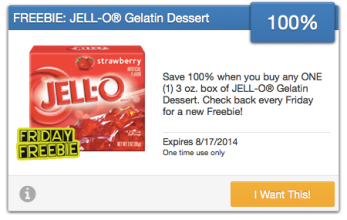 box of JELL-O Gelatin Dessert – valid through 8/17 only..
* Note that after you purchase the JELL-O, the 100% cash back will be deposited into your SavingStar account within 2-22 days depending on the store where you made your purchase; you will also receive an email when the savings post to your account. And remember, once you get $5 in your SavingStar account, you can transfer the savings to your bank, PayPal, or Amazon gift card. *HOT* Pinecone Research Now Accepting New Members! Earn $3 Per Survey!! Pinecone Research is currently accepting new Research Panelists! As a member, you’ll earn points for prizes for each product survey you take, plus you’ll gain entries into sweepstakes to win cash prizes! Each survey you complete gets you $3 and you can “cash out” at any time with no minimum requirement! The best part is it can all be done from your own home. To get started, go here and answer a brief questionnaire to see if you meet the current recruitment needs. If you qualify, you’ll be redirected to the sign up page where you will need to fill out the form with your information so that you can start receiving survey opportunities. I personally believe that Pinecone Research is one of the BEST survey companies out there! I am a member myself! In fact, it’s ranked as the #2 survey site on Survey Police and has an A+ rating with the BBB! This new $1/1 Minute Maid Juice Box coupon just popped up on coupons.com today! These are priced at around $2.98 at Walmart, so just $1.98 after coupon. This could get us an even better deal at a store that doubles. I'm not sure on the price (I'll have to check next time I go in), but it would take $2 off of ONE package! It looks like we’ll have two inserts in this weekend’s newspapers! Check out the list of expected coupons below! Cabot Save $1.00 On the Purchase of any Two (2) Cabot Products. Beanfields Save $0.50 On any 6oz bag of Beanfields Bean & Rice chips. Glee Gum Buy 2 Get 1 Free Buy 2 boxes of Glee Gum, get 3rd box of same flavor free. Glee Gum $0.50 Off Save $0.50 on any 1 box of Sugar-Free Glee Gum. Truwhip $0.55 Off On the purchase of any (1) one truwhip product. Brothers All Natural $5 off When you buy (2) two 16-Pack Variety boxes of Brothers-All-Natural Fruit Crisps. Exclusively at BJ's Wholesale Club. Brothers All Natural $1 OFF Any two (2) Brothers-All-Natural 100% REAL FRUIT 6-packs. A healthy and delicious snack that is great for on-the-go! Brothers All Natural $1 OFF Any two (2) Brothers-All-Natural 100% REAL FRUIT 1 OZ. resealable bags. 6 servings of fruit per bag! Food For Life Save $1.00 Save $1.00 on any two (2) Food For Life products. 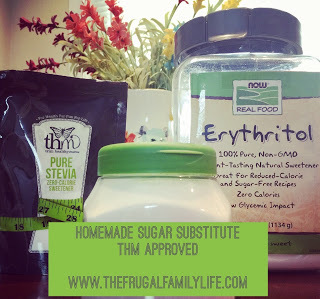 Pyure Save $1.00 On the purchase of any Pyure Sweetener. Includes Pyure Organic 40ct and 80ct, and also Pyure Bakeable Blend. Mamma Chia Chia Squeeze Enjoy $1 off any 2 of our tasty new Chia Squeezes! Just Chia + Fruit + Veggies make this the ideal on-the-go snack for active souls of all ages! Mamma Chia Chia Squeeze! Enjoy $1 off any 2 of our tasty new Chia Squeezes! Just Chia + Fruit + Veggies make this the ideal on-the-go snack for active souls of all ages! Mamma Chia $1 off 2 Bottles Mamma Chia Vitality Beverages! Each bottle delivers 2500mg Omega-3, protein, fiber and is USDA Organic and Non-GMO. Mamma Chia Enjoy $1 Off 2! 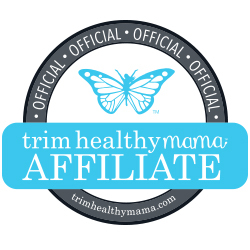 Mamma Chia Vitality Beverages and Chia Squeezes. Choose any of the 9 delicious beverages and 4 tasty squeezes. Barleans $2.00 Off $2.00 off of any one (1) Barlean's Omega Swirl Supplement 16 oz bottle. Tasty Brands Save $1.00 On any one (1) Tasty Brand product. All Organic & Non-GMO with all the fun & flavor of classic, favorite treats.